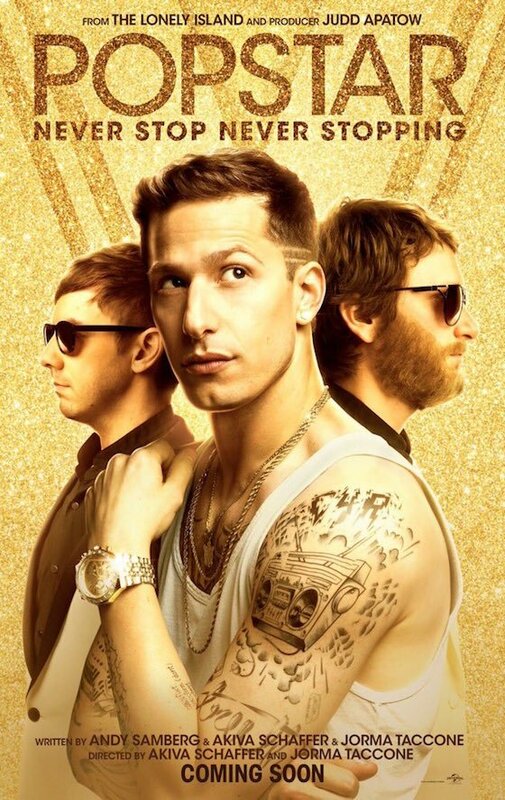 The Lonely Island are getting set to hit the big screen with Popstar: Never Stop Never Stopping next week, but before the musically minded comedians share their full-length feature, they've unveiled the tracklisting for the movie's soundtrack. Hollywood A-lister Emma Stone makes a cameo, as do some less expected musical collaborators in the form of Adam Levine, P!nk, Akon, Linkin Park and Seal. There are snippets of dialogue to keep the laughs rolling, as well as previously the previously heard single "Mona Lisa." The comedy trio also returned to Saturday Night Live this past weekend (May 21) to debut a new digital short accompanying "Finest Girl" from the film's soundtrack. Scroll past the massive tracklisting for Popstar: Never Stop Never Stopping to give that a watch. The movie will hit theatres on June 3, and the soundtrack will arrive on the same day.